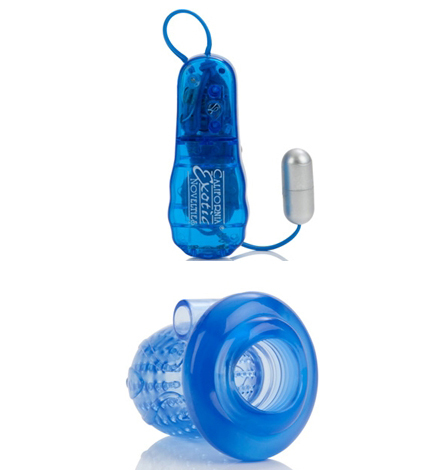 Multi-Function Maestro Masturbator featuring: Jelly soft, textured masturbator with a removable mini-bullet. Four functions of vibration, pulsation, and escalation. Ergonomic battery case with push button control and LED light.